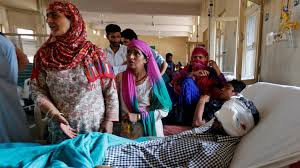 Not only are the doctors being forced to reveal the identity of their patients, the report says, the Jammu & Kashmir (J&K) police and paramilitary have “raided hospitals”. In one instance, the report adds, they found that a women’s ward was raided. “We met with ambulance drivers who were intimidated and threatened by the armed forces for ferrying the injured”, the report says. “In at least one case, a key leader of this ‘critical assistance’, as described by a senior government doctor, was arrested and jailed for over a fortnight”, the report states. The 25 citizens who visited several of Kashmir districts included top Narmada Bachao Andolan leader Medha Patkar, All-India Progressive Women's Association's Kavita Krishnan, National Alliance of People's Movements' Madhuresh Kumar, National Forum on Right to Education's Mujahid Nafis, and Peoples Movement against Nuclear Energy's SP Udaykumar. The Pakistan-India Peoples Forum for Peace and Democracy's representatives also joined the team. “Families that have pursued the legal remedy to identify the representatives of the Indian Army, J&K police and paramilitary, who engaged in acts of killing innocent people, have become targets of repeated arrests, torture and raids”, the report states.